Ring Hardigan and his companions Wally and Risa aren’t your average nine to fivers. They spend their time tracking down and putting down the immoral immortals that ravage innocents. When they are contacted by a Baron from a forgotten forest to track down his stolen jewellery and the daughter who is the thief, they are sceptical. Their investigation leads them deeper into danger and they soon realise that they may just have just stepped into a timeless war between the minions of hell and Satan himself. Terry Maggert is a master of words. The vocabulary at play within this novel is a masterpiece in itself. It is like a rich chocolate dessert that has been perfectly presented for a Masterchef episode! Each word has been painstakingly chosen to create an aura of ageless fantasy, with a dash of James Bond. I’m not ashamed to admit that I learned a few new words reading this novel! The characters are richly developed, with wonderful flaws, pasts and dirty habits. Maggert’s high level of writing skill is clearly evident in the sentence construction, words choices and descriptions, which create an introspective, timeless feel to the story. There were some things I felt distracted. The constant changes in point of views and time lines for one; I felt that the story moved best during Ring’s point of view scenes. The descriptions (e.g. the forest scene in the beginning) were stunning, but at times, I felt were superfluous, although deliciously entertaining. Some of the tense changes were jarring for me in Ring’s descriptions. The ending was confusing, and I still feel like I’m missing something, but perhaps that is the intention? It was refreshing to read a supernatural novel from a male POV, with unusual ‘villains’ who are brutal, sexual and immoral. 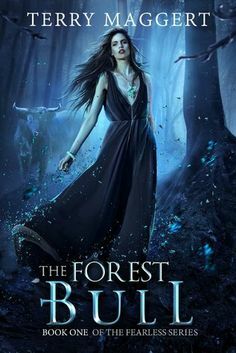 Overall, I really enjoyed ‘The Forest Bull’ and would recommend it to both genders.